So you booked a holiday to Bali and had a couple of nice days in the sun. Waking up the next day the sky is gray and rain is pouring down. That’s not gonna ruin your holiday mood, right? Well, the next day might be none the different and your nice sightseeing trip turns into a wet T-shirt competition. Welcome to the rainy season in Bali! It runs officially from October to March, but due to the climate change you can never really be sure when the worst season will hit the island. Rainy season doesn’t mean it will be pouring down all day every day, but it’s good to know what kind of options you have when sunbathing or sightseeing are out of the question. Here are my favorite things to do in Bali when it rains (apart from the obvious curling up in bed with a good book). Many people like to save shopping for the last days of their holiday, but if it’s raining, why not just get it over with. Bali has some pretty decent shopping malls where you can find great international and local brands. My favorite is Beachwalk Mall in Kuta, which has a nice, airy setting and great shopping and restaurants. 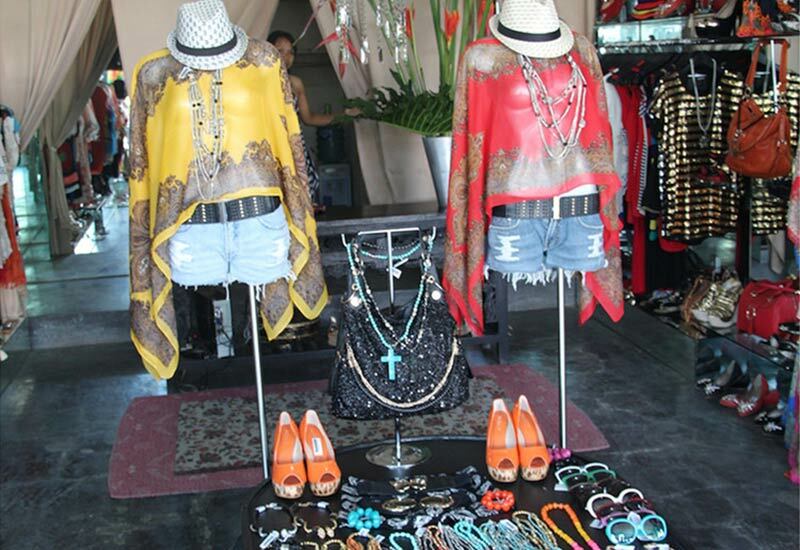 Other good options are Mal Bali Galeria also in Kuta and Discovery Shopping Mall in Tuban. Great surf brands and small label boutiques can be found for example along Jl. Raya Seminyak and Jl. Kayu Aya, which also have plenty of souvenir stalls. If it’s raining heavily, you could always book a driver to take you on a shopping spree. 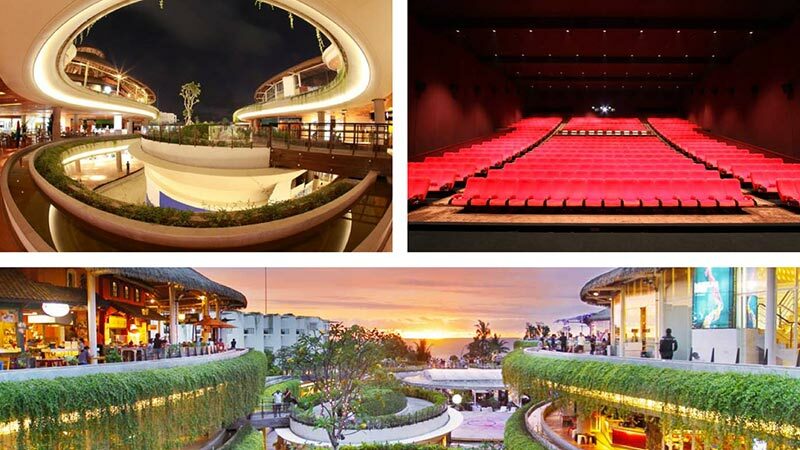 Bali has a few very nice movie theatres showing latest international releases What’s best, most of them are located inside the shopping malls (Kuta, Tuban, Denpasar), so you could actually combine a day of shopping with a night at the movies. The tickets are a bargain (Mon-Thu Rp. 50 000, Fri Rp. 60 000, Sat-Sun and public holidays Rp. 75 000), even the super fancy premiere cinema hall tickets won’t break the bank (from Rp. 100 000 to Rp. 200 000 depending on the theatre and day of the week). You can find cinemas at Beachwalk Mall, DFS Galeria, Lippo Mall, Level 21 Mall and Park 23. This might sound a bit stupid as there is no sun to make you sweat, but actually I’m talking about exercising. Some of us tend to get lazy and instead start feasting on all kinds of delicious food around, which might mean returning home tanned but bloated. Enter rain, the perfect reason to get back into healthy life, if even for a while. 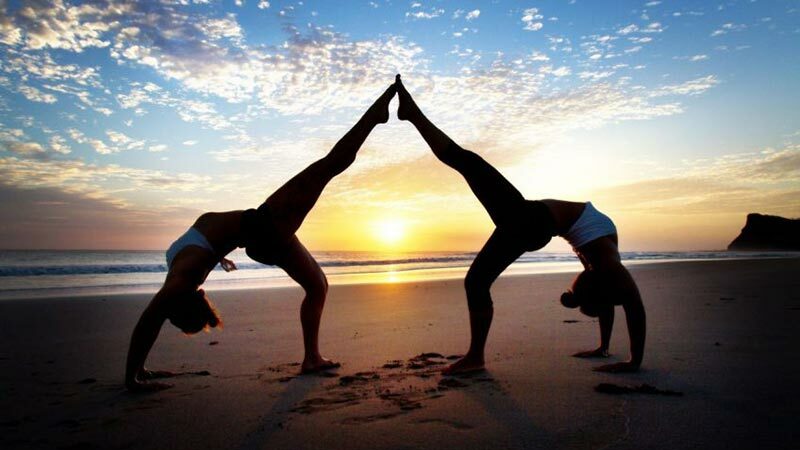 If you’ve never tried yoga before, I dare you to do it here in Bali. There are so many great studios and classes to choose from, and the benefits of joining a 90-minute class are long-lasting. My favorite studios are Seminyak Yoga Shala in Seminyak, Serenity Yoga in Canggu and Yoga Barn in Ubud. If you really want to work out a sweat, try bikram yoga, which is practiced in a studio heated to 40 degrees (104 Fahrenheit). Jiwa Yoga in Petitenget excels in these. If you cannot get excited about the idea of yoga but still feel like exercise might beat the rain blues, you could hit SOHAM Wellness Center for gym or group classes, Pole Studio Bali for pole dancing or Dee Muay Thai for some martial arts. You don’t mind some rain and getting wet but still wonder what would be the best way to enjoy the downpour? Let me tell you there are some really fun ways to make the most out of the actual rain. 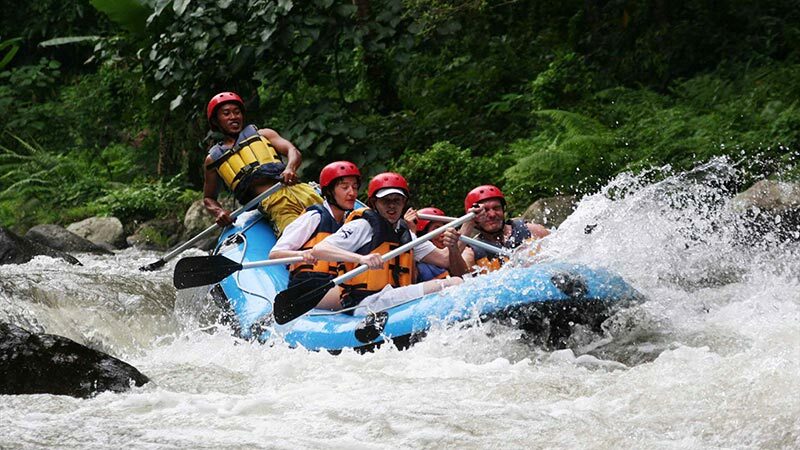 White-water rafting is at its best during the rainy season. The water level in the rivers gets higher, which means faster sliding with less bumping into the rocks. The nature surrounding the rafting routes is also blossoming when it’s raining. As you’ll anyways get wet when rafting, a little rain on the side won’t hurt, and you’ll get some awesome photos. Another fun activity during the rain is visiting one of the waterparks, of which Waterbom is the biggest and definitely the most enjoyable. Just remember to bring some warm clothes to wrap yourself into afterwards. If you’re into visiting temples and other historical sights, a good start for a rainy day itinerary would be visiting some museums to learn about Bali’s rich history and the vast collection of artworks. First head to Ubud to visit the Agung Rai Museum of Art (ARMA). There you will see traditional Balinese paintings and modern Indonesian paintings among other things. Continue to Setia Darma House of Mask and Puppets, the mission of which is to preserve some of Indonesia’s most colorful heritage items. 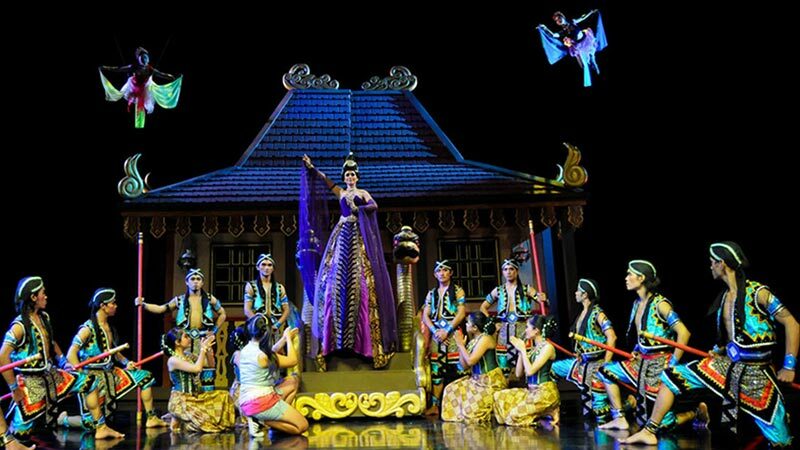 Finish your day by attending a theatre show, such as Devdan – Treasure of the Archipelago, inspired by the culture of Indonesia. This 90-minute show at Bali Nusa Dua Theatre is an amazing combination of contemporary dance, aerial acrobatics and special effects. Kids will enjoy it too! Maybe you have fallen in love with Indonesian food, but you are not that familiar with the ingredients or methods the locals use when cooking. Whether you consider yourself a masterchef or a beginner with a thumb in the middle, a traditional cooking class is a lot of fun and gives you a great insight on the Balinese way of creating tropical flavors with rich ingredients. 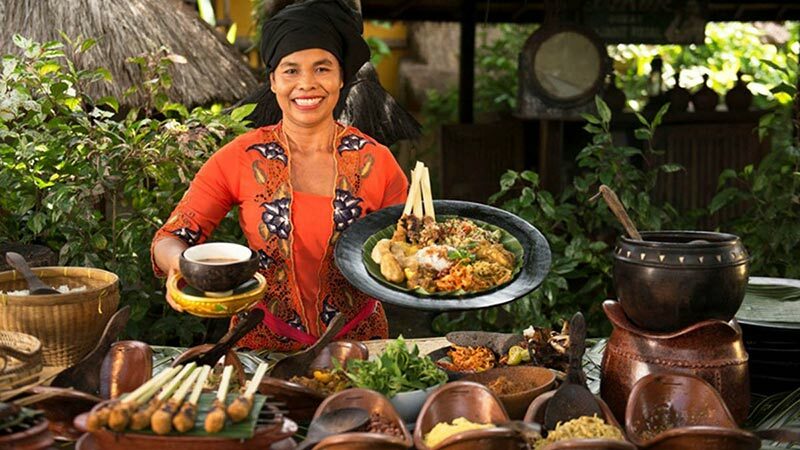 At Rumah Desa in Tabanan you’ll learn at least 21 recipes of Balinese food and will be guided by a professional chef. If arts and crafts are more of your niche, you could opt for a jewellery making class instead. At Studio Perak in Ubud you’ll learn the art of silversmithing and get to design and make a ring or pendant of your own. There was a time when bowling was about the only group activity you could take up on in Bali. Not that it isn’t still fun, and Strike 10 at Canggu Club is worth a visit, but so many new exciting activities have sprout up in the past years. My absolute favorite are the live, interactive detective and escape games like Escape Room on Sunset Road and Totem Room Escape in Seminyak. 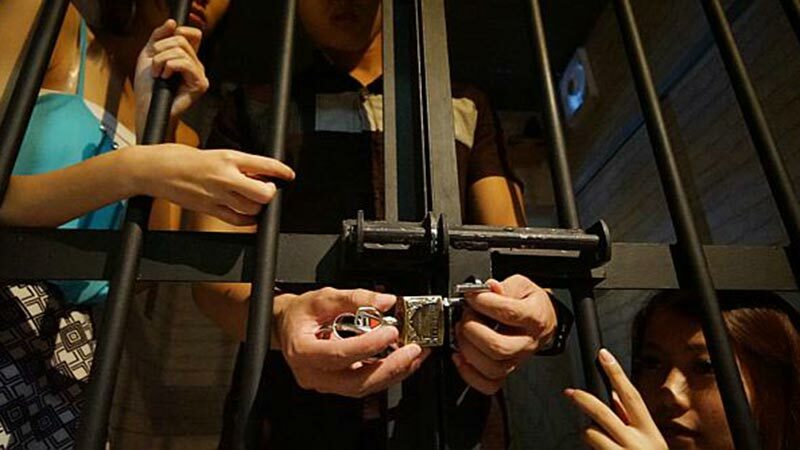 Your team will be locked inside a room where you’ll have 45-60 minutes to solve a crime or murder mystery with the help of the clues given to you and escape the room. It is so much fun and a great workout for your brain! At Upside Down World you can enter specially designed rooms, whose décor and furniture are upside down. There you can strike poses that end up as gravity-defying stunts in photos. If in the end you do decide to go bowling, bring your kids along to have their fun at Bounce Bali, a unique indoor trampoline center. A pampering session at a spa is never a bad idea when the rain is ruining your plans. Bodyworks’ Exfoliation Massage will get your skin ready for when the sun is back again. 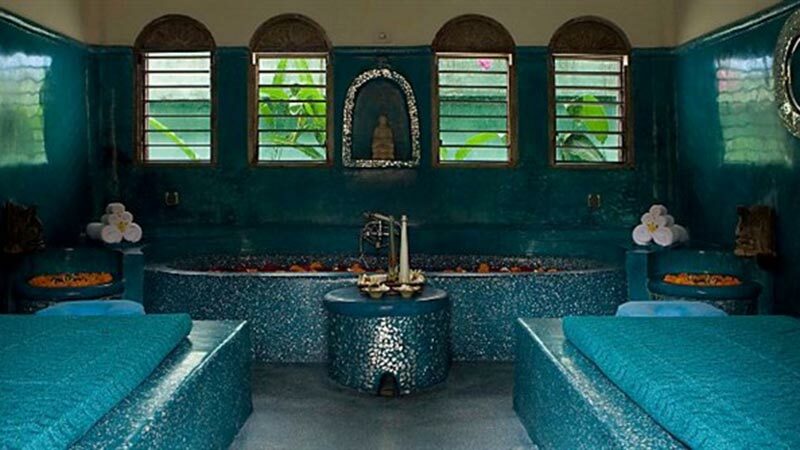 It is a 2-hour treatment including Balinese massage, traditional lulur scrub, a yoghurt body mask and a flower bath. To mix things up a bit, and to let your body reap maximum benefits, I would also recommend a 45-minute far-infrared sauna session at Villa Kubu’s Venus Spa. The far-infrared sauna is a small heated room, where the heat reaches deeper into your tissues than the heat from a traditional sauna and causes more toxins to be released. A session can help relieve muscle and joint pains, improve circulation, raise the rate of energy expenditure in the body and even prevent diseases.